Zimbabwe is back on the international radar for the same old reasons – the lack of legitimacy of its political leadership. After the November 2017 coup that resulted in the resignation of long time President Robert Mugabe, his deputy Emmerson Mnagangwa took over the leadership of the country with a message of reform and democratisation. Mnangagwa had largely done well in his re-engagement with the international community with his mantra that “Zimbabwe is open for business”, accepted in western capitals and in the region. It seemed that Zimbabwe was on the trail to entomb the ghost of the past as defined by years of repression, attacks on media and journalists and indeed a debilitating economic crisis that resulted in nearly 90% of the economic active population being out of formal employment. 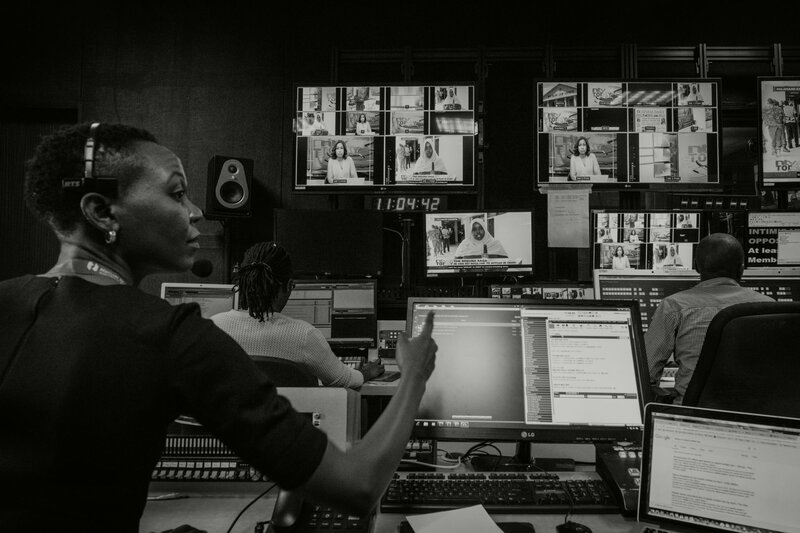 After the November 2017 coup, Zimbabwe let go of some aspects of the past with the media allowed some space to report without as many restrictions. The biggest beneficiaries of this have been citizens who have taken to social media to air their concerns on the state of politics and the economy. The 30 July 2018 elections were to be the final lap for Mnangagwa in his quest to bring Zimbabwe out of isolation. Unfortunately, he failed at the last hurdle. While the pre-election environment appeared free with the opposition allowed space to campaign in rural areas, some things largely remained the same. 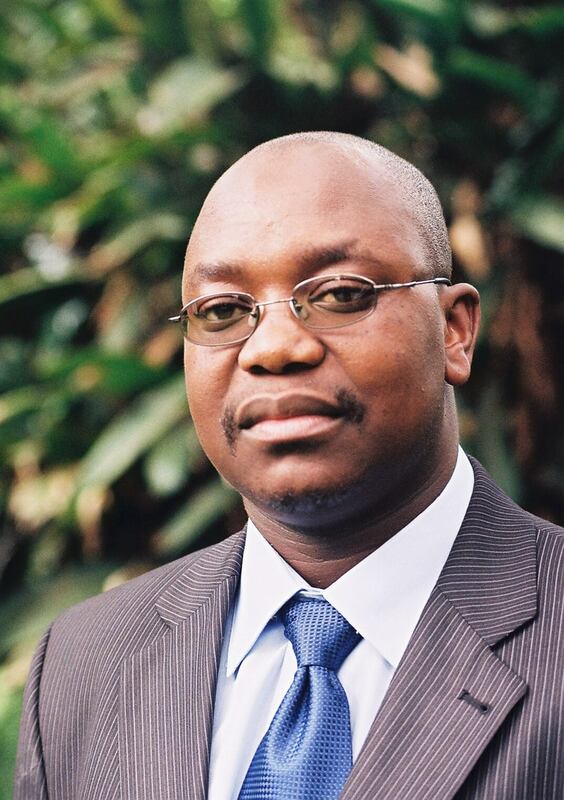 The dominant state-owned media remained under the control of President Mnangagwas functionaries, attacking the main opposition party MDC Alliance and its leader Nelson Chamisa. Despite the many promises by Mnagangwa to deliver free and fair elections, the state media remained hostile to his opponents, albeit with token changes such as covering live the manifesto launch of the MDC Alliance. State media resisted criticism and hid under a plethora of explanations among such that the MDC Alliance was not informing its news team of their campaign schedules and that the opposition ought to pay for airtime. Despite his promises to deliver a free and fair elections, other delinquencies include Mnagangwa accessing mobile numbers of registered voters and sending campaign messages. This violation of mobile phone user rights was swept under the carpet by the Zimbabwe Electoral Commission (ZEC), the only body that had such information and therefore the only one that possibly allowed Mnagangwa access to its database. Mobile phone companies denied availing such information to Mnagangwa and this violation appears to die a natural death. Another failure on the part of the ruling party and its candidate Emmerson Mnagangwa was the post-election violence that engulfed the capital Harare after the announcement of Mnangagwas hair thin win of 50.8% against Chamisas 44%. Protesting opposition supporters were shot with live bullets by soldiers resulting in 6 deaths and multiple injuries in the days following the elections. The events were captured by hordes of local and foreign journalists camped in Harare for the elections. In the chaos local and foreign journalists were also attacked by the rampaging soldiers. The reformists’ agenda touted by Mnangagwa was up in smoke 1 August, and the military that had backed him equally stood on its last leg, on the barrel of their guns in defense of ZANU PF after losing all the social capital and goodwill gained for revolting against a detested Mugabe in November 2017. Far from taking leadership on this matter, the ZANU PF leadership simply shifted blame to the opposition, claiming that the protesters were violent. Instead of images of a united nation looking positively to the future, images of dead protesters with bullet holes in their back defined Zimbabwe after the 30 July elections and thrust Zimbabwe into crisis mode. The MDC Alliance lodged a court challenge that was dismissed by the constitutional court thereby opening the way to Mnangagwas 5 years at the helm albeit without the legitimacy that he sought. Mnangagwa’s failures were equally demonstrated by the growing fear within society, more so after the 1 August shooting of civilians by soldiers. 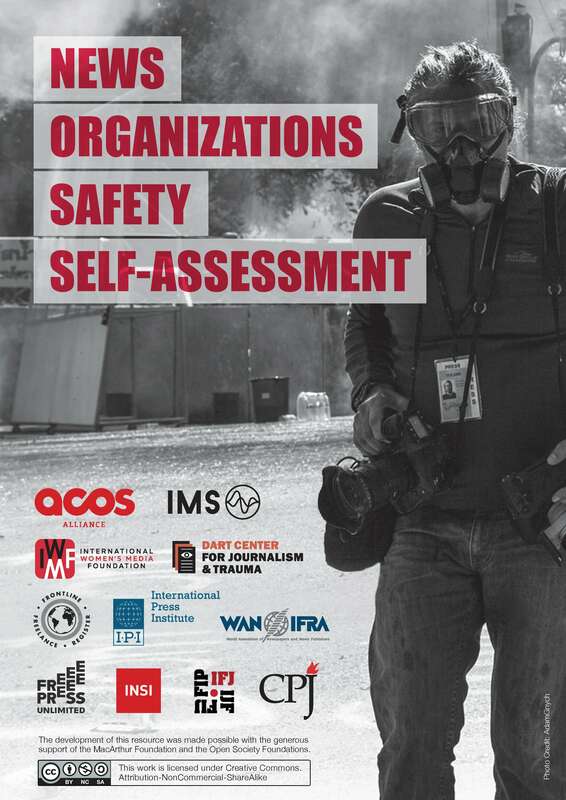 State media journalists who were caught up in the violent demonstrations declined emergency health support for fear of being accused of exposing the regimes heavy handed response to the protest. Other state media journalists were taken off air for allowing callers to share stories of wanton beatings and intimidation by soldiers. A senior state media editor was dismissed for allegedly spying for the opposition. Senior state media journalists have also since indicated that they are on a tight leash by the military intelligence, and journalists are now torn between civilian arms of Mnangagwa’s administration and the overbearing military which is dictating editorial policy in state media. This new dimension of the military involvement in the media raises a new challenge for the mainstream media as the threats to media freedoms widen and there appear to be no platforms to engage the authorities on these matters. Senior journalists working in the state owned and controlled media have resigned themselves to the fate of the dictates of what they call the “Employer”, now a combination of the military and Ministry of Information Officials. This situation is complicated by the active political role that state media journalists took, with 10 of them having contested in ZANU PF primary elections to represent the party in council wards and Parliamentary constituencies. Others appeared on social media wearing ZANU PF party regalia. Some who lost in ZANU PF primaries are back in the newsroom as if nothing ever happened. This link between state media journalists and the ruling party gives space for the party and the Ministry of Information to extend its controlling hand and dictate editorial policy, after all the journalists are seen as party cadres. 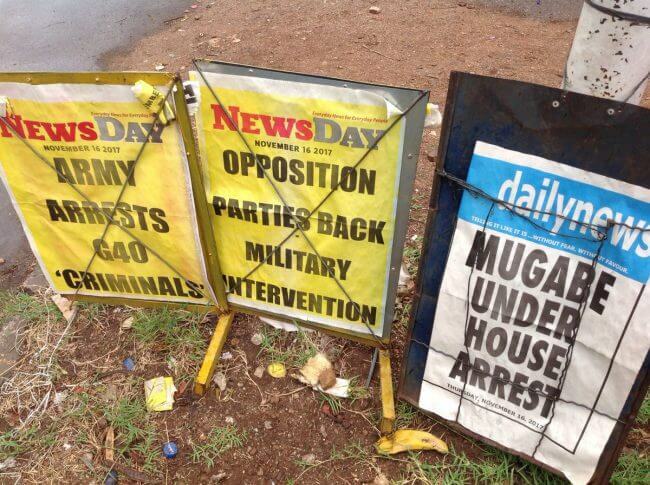 If this situation persists the Zimbabwe media may find itself in a far worse situation as compared to the Mugabe era. On the other side of the aisle, the state private remains small and limited in reach. Its coverage of the election was far better as compared to the state media, albeit showing support for the MDC Alliance. Faced with the challenges above and many other human rights violations, the President and his senior officials have simply denied that such violations have taken place. In interviews Mnangagwa claims not to have seen images of a soldier, kneeling and firing a volley of bullets aimed at protesters. The President is infatuated with painting an optimistic picture of Zimbabwe and has shut his eyes to bad news. The Mnagangwa administration is also reportedly battling internal divisions at the Ministry of Information with non-civil servants roped in to help with his International engagement now seemingly overreaching on government communications. 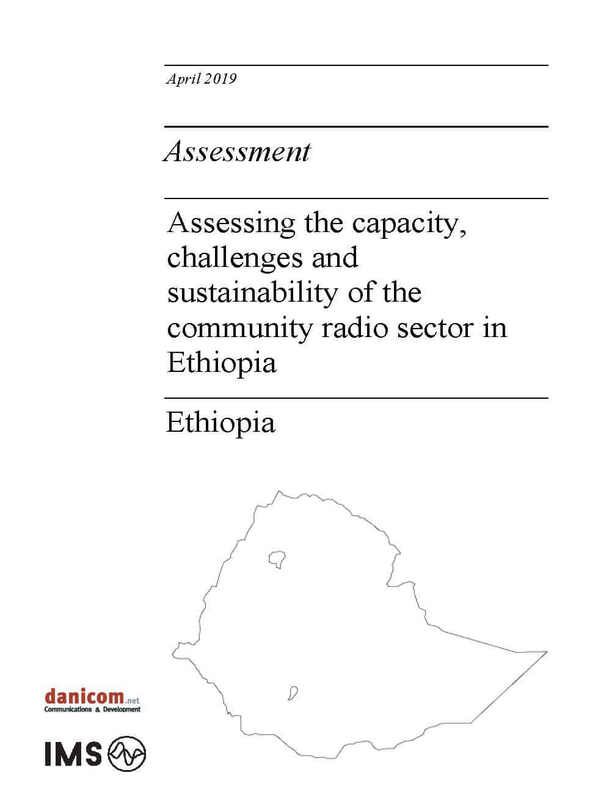 This complicates media advocacy issues as senior government officials are preoccupied with defending their turf rather than focusing on media development issues. The politicization of everything in the Zimbabwe body politic means that media reforms, like everything else will likely be seen from political lenses rather than development lenses. The Zimbabwe Open for Business mantra by Mnangagwa will unfortunately be undermined by the politics of polarization that is championed by some in his inner circle. While Mnagangwa may genuinely desire change, he is mostly surrounded by the same old guard that dictated policy during Mugabe and still sees human rights defenders and a free press as a threat to their hold on power. Images of Acting Information Minister Simon Khaya Moyo negotiating with the riot police to allow an MDC Alliance press conference on 3 August captured the deep divisions in Mnangagwas government. A day later the police issued a press statement apologizing for this event and stating that they respect media and freedom of expression rights. Mnangagwa knows he will be judged in contrast to his mentor Robert Mugabe. And it appears his interest is to do better than Mugabe. Yet his challenge is that he is not entirely in control and is seen as a useful puppet of the same military that was the power behind Mugabes throne. Can Mnangagwa wriggle out of the clutches of the military that served and guided his steps to safety in November 2017 when he was dismissed by Mugabe and spent a night walking in thick bush escaping into Mozambique running way from hired assassins. The military saved him again from defeat by the MDC Alliance with as many reports of manipulation of the 30 July elections. Media and freedom of expression and many other reforms are therefore dependent on how far Mnagangwa reforms the security sector to suit the reform agenda. The international community appear already willing to give Mnagangwa another chance with both the USA and UK governments noting that the July 30 election was better than past elections yet stating that political and economic reforms are what will define their relationship with Mnagangwa. Mnagangwa has a chance to chart a new path for Zimbabwe and much depends on his willingness to embrace change and equally his willingness to confront the hawks that surround him, that is if he is not one of them. Without these reforms Zimbabwe is running in circles and Mnagangwa will turn out to be just another, if not darker side of Mugabe.